With autumn upon us and winter fast approaching I‘m feeling the need for comfort foods. Soups and warm salads are always a winner with crew once the weather turns cold and the best way to jazz up any dish is with a bit of spice. Spice has been used for centuries to preserve food and to add colour and flavour to dishes. 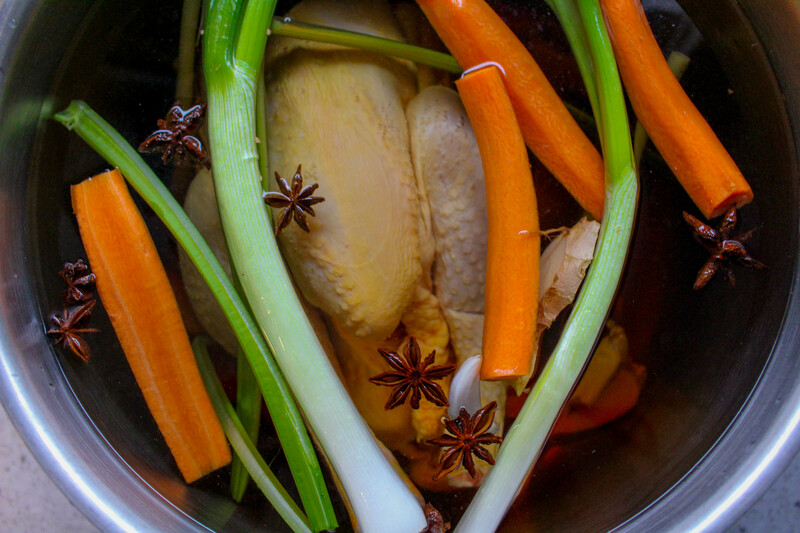 There are many health benefits for using spice in food, including helping to relieve symptoms of and fighting off cold and flu. It is claimed that spice can even help with weight loss because certain spices are believed to help speed up our metabolism. Studies show that cultures that eat a lot of spice have fewer incidents of heart disease and stroke. The antioxidants in spices have an anti-inflammatory effect, which means they can help to reduce the risk of disease. I’ve been working on a few recipes over the last couple of weeks, giving them a re-vamp to add some extra spice. Here are my five favourite spices including recipes to help you spice up your lives this winter. Ginger is an amazing spice for treating gastrointestinal complaints such as nausea and an upset stomach and has long been used to treat seasickness. It is a diaphoretic herb meaning it can help warm you from the inside so it’s perfect grated or sliced into a tea when you feel a cold coming on as it induces sweating which can help to remove toxins from the body (sweating out a cold). 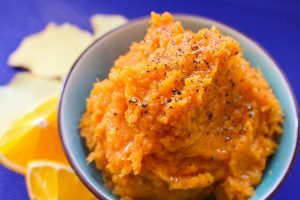 My Spiced Carrot & Sweet Potato Mash made with ginger and nutmeg is divine when paired with a duck or lamb roast dinner and makes a refreshing change to plain old boiled carrots. 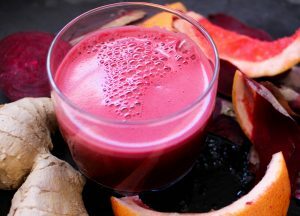 I love the spicy kick you get from ginger in a juice and this Beetroot, Grapefruit & Ginger Juice is a perfect balance of sweet, earthy and spicy and is sure to help keep your immune system in good shape. Turmeric is such a strong anti-inflammatory spice that it has been shown to be as effective as some anti-inflammatory drugs used for pain relief, such as ibuprofen. Turmeric belongs to the same family as ginger and contains curcumin, an impressive antioxidant that can help boost the body’s own antioxidant enzymes. Just be careful when using turmeric in fresh or powdered form as this bright yellow spice can stain your skin, clothes and work surfaces. 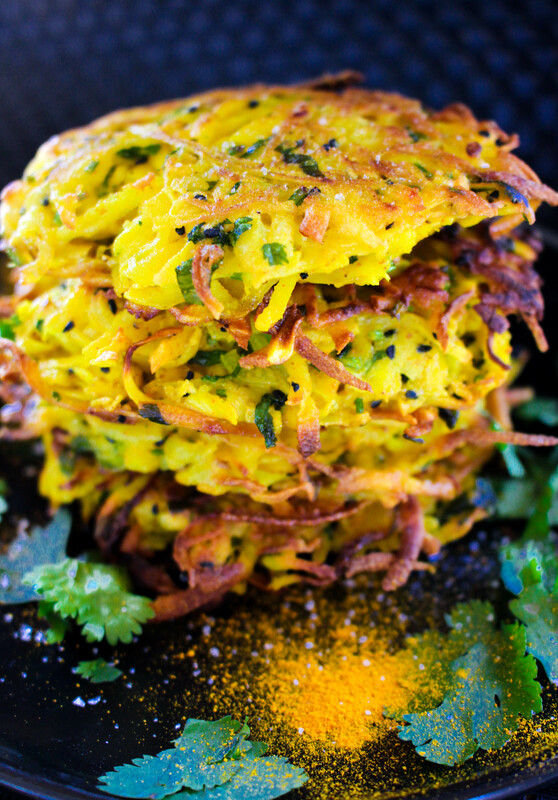 I used turmeric in these delicious Parsnip Rosti this week. Cinnamon is a great antibacterial spice and has been proven to help control blood sugar levels, meaning it is beneficial to have cinnamon in your diet if you are diabetic. Cinnamon is such an evocative spice, during my first season on yachts I used to make a banana bread with cinnamon every day and my boss told me he loved the smell as it reminded him of his mother baking for him when he was a child. Whenever I’m baking with cinnamon I find crewmembers in the galley trying to guess what it is I’ve got in the oven and eager to have a taste. 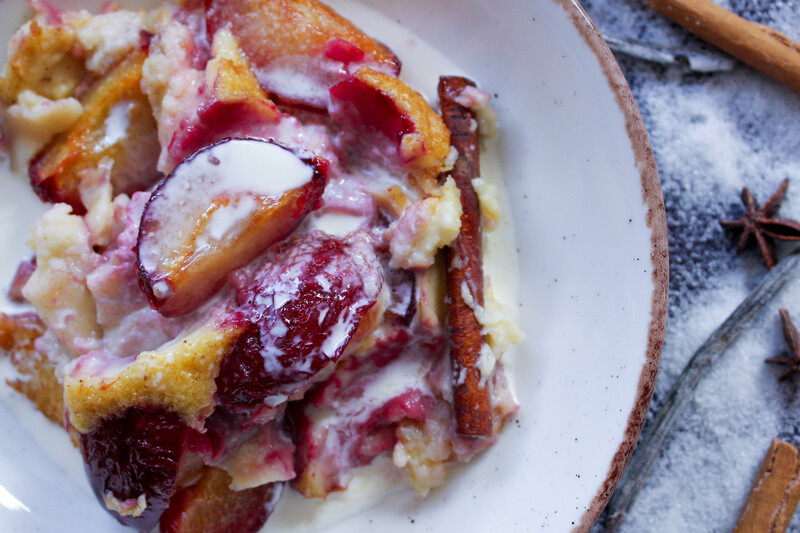 I had some plums left over in our crew fruit bowl the other day so I took an old recipe I used to use for Cherry Clafoutis by Raymond Blanc and put my own spicy twist on it. Clafoutis is a baked dish which isn’t dissimilar to the custard you might use in a bread and butter pudding but using fruit instead. It’s really simple to make and is a much lighter dish than a classic bread and butter pudding, making it perfect on a Sunday afternoon after a nice hearty roast dinner. Cayenne pepper is a chili that originated in South America but is now grown in other places in the world such as India, Mexico and the United States. It is normally ground to a fine powder and is red in colour. It is renowned for its many health benefits including improving circulation, helping with digestive complaints, preventing blood clots and lowering high cholesterol. I often add it to my meal instead of chili sauce as it doesn’t contain sugar, salt or other nasty preservatives that are typically found in processed chili sauces. It can also be used in cooking when making curries or casseroles. 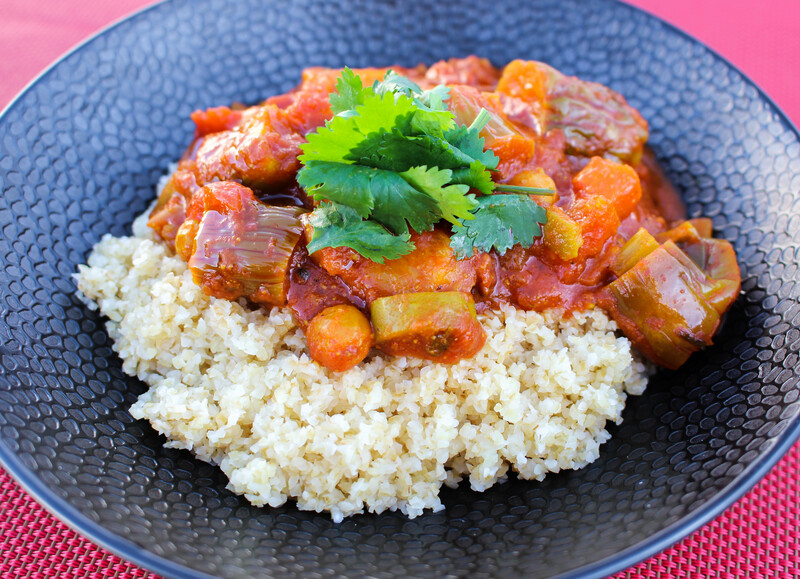 I like to use cayenne pepper to add a fiery kick to my Aubergine Tagine. 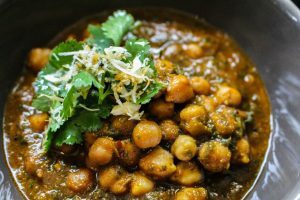 So here are a few examples of how you might incorporate some spice into your diets this winter while reaping their numerous health benefits. 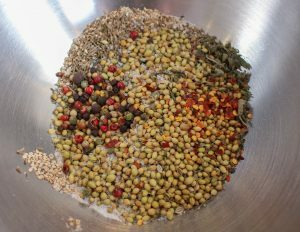 If you have any unusual or interesting ideas or recipes using spice then please comment below.